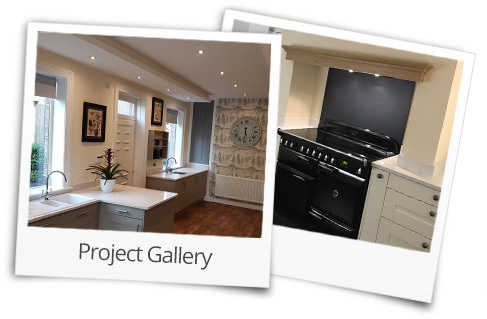 If you are looking for a quality kitchen installation or the supply of a kitchen, then look no further than Holmes Installations, one of Yorkshire’s leading installation experts. Have your kitchen professionally planned for you by an experienced, friendly and specialist installer tailored to your individual requirements offering affordability and quality. When you start to think about a new kitchen design it can be quite a daunting task, but we can take that worry away and arrange the full project on your behalf. All our kitchen installations are carried out by professional tradesmen including City & Guilds qualified Joiners, a STROMA Registered Electrician, Gas Safe Registered Plumbers, qualified Plasterers and Tilers. We offer a fully managed project with a friendly customer service covering every aspect from start to finish including electrical, gas, flooring, tiling and bespoke joinery services. All installations are carried out to the highest of standards with an eye for detail to give you complete peace of mind. We have built an unrivaled reputation within the industry in the Yorkshire area with our team of expert tradesmen. All work is fully guaranteed and insured. We are an Approved Vendor to BiKKBI, TrustMark and Which and are Asbestos Awareness Trained and Certified annually to give you further peace of mind. Holmes Installations is the answer when looking for a supplier of kitchen installations in the Yorkshire area. Why Holmes Installations? Well, with over 30 years experience in the industry, we have worked with and have experience with most national and bespoke retailers. Not only can we install your kitchen, we can design, supply and install your kitchen project from start to finish. 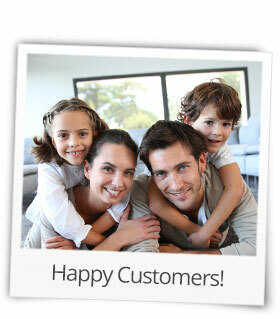 With Holmes Installations you will be dealing with the tradesman and not a salesman. We can also offer full property renovation projects and specialist joinery services. Looking for a Decorator when your project is complete, don’t worry we can put you in contact with those too. Yet again another quality installation by Darren and Callum. Professional, courteous and friendly. This duo is backed by Jayne in the office and between them, their service is second to none. If you are thinking of having a new kitchen, do yourself a favour and give them a call. Highly recommend. Mr Todd, Harrogate, (March 2018). Whether your choice is from budget or top of the range, from traditional, contemporary, latest trend, modern, luxury or bespoke, we can guide you towards practical solutions. If you are looking for honest and reliable tradesmen who offer outstanding kitchen installations to precise standards and joinery services throughout Yorkshire, look no further. Our worktop range is as varied as any kitchen range, from budget to high definition laminate, solid wood, granite or corian. We are also registered Sonara Worksurface Installers and work in conjunction with most national retailers. Simply call us today to discuss your requirements for a professional kitchen installation. Organise your no obligation survey and quotation by calling our office Tel: (01977) 683906 or Mobile 07881 279030 or if you prefer to contact us online, complete our contact form. All photographs displayed on this website are legitimate and are installation projects by Holmes Installations only. We do not use staged photography or use photographs from any other source.